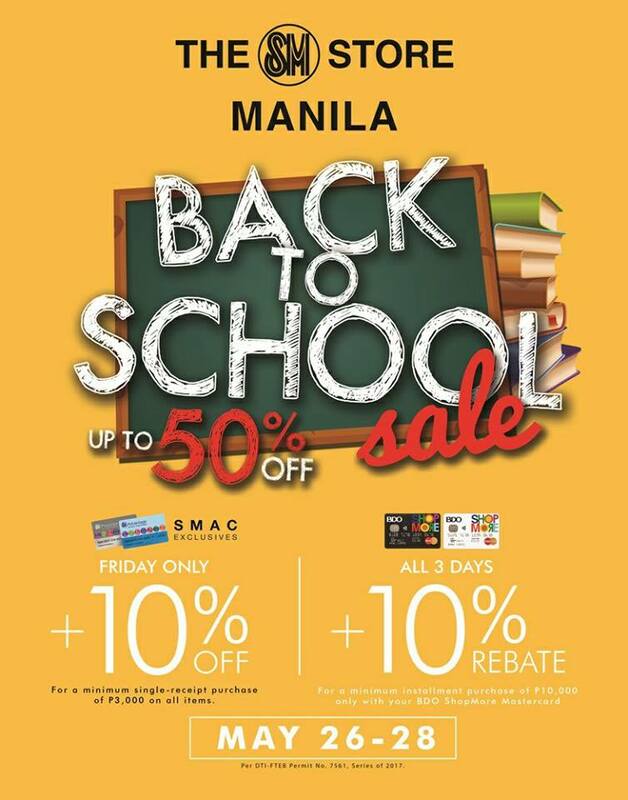 Check out SM City Manila 3-day Back to School SALE happening on May 26-28, 2017. Enjoy up to 50% off on selected items mallwide! 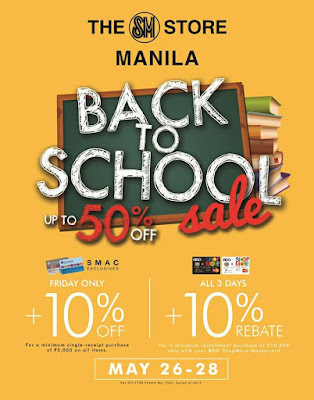 Get 10% Off with P3,000 minimum purchase on all items using your SMAC card on Friday May 26, 2017.... plus get 10% rebate when you use your BDO Shopmore on your P10,000 installment purchase during the 3-day SALE!